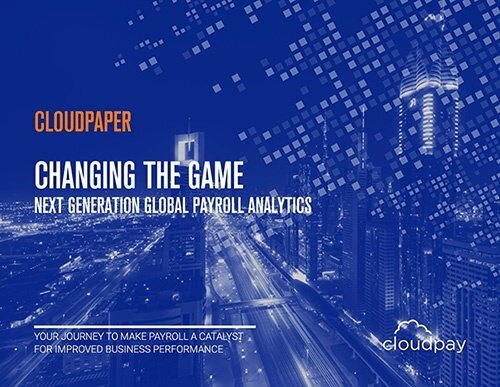 As part of our continuing effort to help payroll professionals everywhere address the complexity of global payroll, we’re asking our internal experts about the unique challenges and requirements of processing payroll in some key countries. In this spotlight, we take a closer look at payroll in France, the alluring European leader known for its distinguished culture and cuisine. As the nation implements a PAYE system for the first time in 2019, our local payroll expert offers seven insights for multinational employers about operating payroll in France. What do global enterprises need to know before setting up their payroll in France? The most important thing for organizations setting up in France is to become well informed of French legislation. There are strict regulations concerning payroll processing and data protection, and the responsibility falls to the employer to understand and meet those requirements. Before a company can begin operations in France, they must declare a new entity with the Chambres de Commerce et d’Industrie (Chamber of Commerce and Industry, or CCI). While this process is much less restrictive than in the past, the requirements are precise, and enterprises should ensure they understand what’s needed. Can you describe a unique challenge or requirement for global payroll in France? The labor law in France is quite complex, and some of the language can be subject to different interpretations. For example, some people think that the contribution amounts deducted from your compensation do not count toward the gross earning total, while others think all compensation, including contribution amounts, comprise the gross earnings. Looking at the text of the law, you can see how people could interpret it differently. There is room for debate and discrepancies, which can further complicate payroll activities. According to the Ministry of Labor, gross compensation should be understood to be the total sum reported by the employer and subject to income tax, before the deduction of social security and other contributions. Yet some people think that what is considered to be the gross wage amount should exclude things like severance and leave allowances, for the calculation of profit sharing. Again, the text of the law is unclear on this matter. 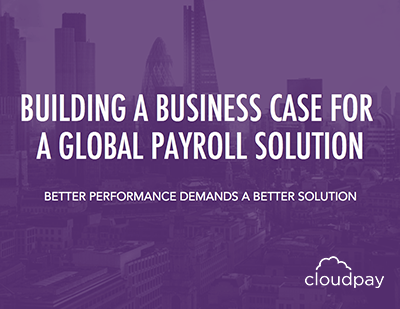 How can global enterprises benefit from doing payroll in France? France is becoming increasingly welcoming of international business, with several tax credits and incentives on offer, including the research tax credit (CIR), the responsibility and solidarity pact, and others which are designed to make it easier for companies to do business and create jobs in France. As the sixth largest economy in the world and the second largest in Europe, France is a smart choice for companies looking for a central, stable European hub. Running payroll in France enables organizations to avail of tight regulations, which can support compliance goals and help ensure that their operations are running efficiently. Why is France a good location for multinational organizations? France offers a high level of education, a dynamic digital environment, and excellent productivity. According to a recent study by Business France, the French rank seventh worldwide in terms of productivity, ahead of Germany (eighth) and the United Kingdom (17th). When it comes to apprenticeship and vocational training, France ranks seventh in training. Besides the competitive workforce, France has a large market of 65 million consumers nationally and access to more than 500 million consumers in the European Union single market. The strength of its economy also gives France substantial purchasing power globally. Plus, France is the most visited nation in the world and is adopting new initiatives aimed at attracting top talent and innovators to the country. How have the recent changes in compliance regulations affected payroll operations in France? The new changes both specific to France and within broader regulations like GDPR have brought in several new reforms that payroll teams should be aware of. These include the exemption from taxes on overtime compensation and changes in social contribution calculations on overtime pay, as well as the allowance of a special, one-time bonus that is fully exempt from tax and social contributions (limited to €1,000 maximum). It’s important for professionals working in payroll in France to review the up-to-date laws and requirements. What is the typical payroll window in France, and what can organizations do to shorten that cycle? Most organizations pay employees on a monthly basis, and while many factors play into the time it takes to process a payroll, a cycle window of about a week is common. An organization with a single, straightforward payroll could be much faster, and those with multiple complex payrolls could take longer. The tactics companies can adopt to shorten the processing window in France can be applied in any location, such as using automated modules like robotic data validation to cut processing time and improve accuracy. Data collection (and protection) can also be improved by integrating the payroll solution with the organization’s HCM system. As of January 1, 2019, France has implemented PAYE for the first time. What should employers be aware of as the French workforce makes the shift to having their tax deducted directly from their payslips? It’s important for both employees and employers to understand that the deduction at source has no impact on the overall amount of tax they pay. However, all workers are having to shift the way they think about tax and take-home pay, because now their payslips are less than they’ve been accustomed to, even though their salaries are the same. While that switch may be significant for individual employees, the biggest changes impact the employers, who now must calculate and withhold tax from the employee payslips and make those payments to the DGFiP (Direction Générale des Finances Publiques) every month—whereas before, they simply paid employees their full monthly salary, and the employees were responsible for doing their own taxes the following year. The responsibility for accurate, timely income tax deduction now falls to the employers, so it’s important that they are ready and capable of doing that. For companies who do not use a payroll services provider, making that shift could be a real challenge. Transition costs: Companies will have to adapt their payroll software and methods for payment and information transfer, and they will need to integrate some data into their HRIS. 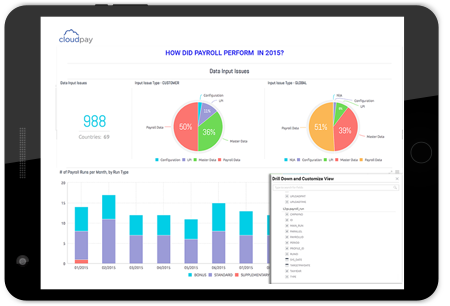 Payroll software adaptation: While any good payroll software should incorporate a standard rate with a pre-established scale without much difficulty, implementing and using a system that can take into account family quotients or the goods of employees will likely require the development of expertise within the company. Steady state management costs: Employers will have to manage a new and ongoing flow of monthly exchanges for reporting and payment of tax, as well as maintaining accurate rates and making any necessary changes throughout the year. The year 2019 marks a significant change in the French payroll system and the responsibilities of both employers and employees. Businesses need to stay informed of changes and understand their ability to handle the challenges that will arise, particularly if they don’t have a professional payroll provider to guide them.